An increasing number of business school students are now completing their MBAs as part of a dual degree program that will award them another graduate school degree. Popular dual degree options include JD/MBA, MD/MBA, Master of Public Health/MBA, Masters of Public Policy/MBA, and all sorts of other MA and MS programs from education to electrical engineering. But what are the pros and cons of these programs? Attending the Tuck School of Business in Hanover, NH gives you all the access and prestige of Ivy League Dartmouth College. Attending as part of the dual degree program at Harvard Kennedy School, just a bus ride away on the Dartmouth Coach, would give you access to the resources and network of Harvard University as well. If you're only as good as the last school you attended, dual degree programs are excellent opportunities to pump your resume full of brand names and broaden the alumni networks to which you have access. One friend of mine completed the dual program at MIT Sloan and HKS and went to work in China, where his boss inevitably introduced him to clients as "our new hire from Harvard." Attending a world-class MBA program will give you a robust network of business leaders across traditional private sector industries such as consulting, finance, and technology. Adding in a dual degree program in public policy will also give you access to leaders across local, state, and federal government, as well as diplomats, non-profit leaders, and academics. As more of the world's challenges become interdisciplinary, individuals who can straddle the line between the public and private sectors will be the ones best able to capitalize on the opportunities. Or, if you plan on going into a technical field such as quant hedge funds, distressed equity, healthcare management, or hardware start-ups, having colleagues from programs in mathematics, law, medicine, and computer science will give you an incredible leg up against the traditional MBA competition. Almost all dual degree programs allow you to complete two degrees one year faster together than you could if you did them separately. For example, a JD from Yale Law School takes three years while an MBA from Stanford GSB takes two. Separately, it would take five years to complete, but together you can complete them in four. If you are gung-ho on attending two different programs already, completing them in a dual degree program is a much more efficient use of your time. You'll pay one fewer year of tuition, and get back into the working world making a good salary one year faster. Business Schools teach students how to lead others and develop processes that will make their organizations more efficient. Government Schools teach students where to lead and inspire them to spend their lives tackling the most difficult challenges of our times. Other graduate programs confer specialized knowledge that will prove invaluable in gaining the credibility to lead experts. An often overlooked benefit of graduate school is that it provides you with the opportunity to apply for scholarships. These are ostensibly for money, but often come with great prestige as well -- the kind that would look good on your resume. Many scholarships, however, do not accept applications from MBA students, so a dual degree gets you around that. Also, if you apply to schools that confer graduations honors for GPA, theses, or other work, going to two schools gives you two bites at the apple. Not everyone knows exactly what they want to do when they arrive at business school. As you settle in for your MBA at MIT Sloan, you might decide that you actually are drawn less to the engineering, technology, and logistics disciplines of MIT and more to the pubic sector work of government and non-profits. Fortunately the dual degree program at Harvard Kennedy School lets you apply to HKS in your first year at Sloan. And vice versa. Say that you are going through the core curriculum at HKS and decide that you're much better suited to consulting. You can apply to MIT, add in an MBA, and then be better positioned to recruit for McKinsey or BCG. Getting another degree is an amazing opportunity, especially if you can save an year of time and tuition when doing it in a dual degree program. However, when compared to doing a solo-MBA, the added cost of another year of school (in the case of a three-year program) can be daunting. You'll have to pay ~$60k of tuition and fees and forego one year of salary at the starting MBA rate ~$125k. That's a large chunk of money to make up over the course of your working career. Of course, MD and JD students who have already prepared themselves for the long-slog of school see the marginal cost as relatively lower and the benefits of the additional MBA on their future careers is great. Unlike integrated "joint degree" programs where academic deans have established well defined pathways for pursuing two degrees, often bolstered by a steady pipeline of concurrent degree students who can help show you the way, unintegrated programs mean that you have to fend for yourself. If you're not the kind of go-getter who can coordinate with two different sets of graduation requirements and two different registrar offices, this option may be a little stressful. Depending on when you sequence business school in your dual degree program, you may not graduate with your MBA class or spend much time with them after the core curriculum part of the degree is over. This can be a serious downside considering that the network is a key part of value proposition in MBA programs. If you decide to do a concurrent degree at two different schools, it is likely that you will have to pack up your apartment and move at least twice in a three year period (notable exceptions include the dual degree program between MIT Sloan and Harvard Kennedy School). For ex-consultants, living out of a suitcase for three or more years might not sound so bad, but for the rest of us this can have a negative effect on quality of life. Even if you decide to pursue two degrees at the same university, graduate school campuses are rarely co-located and so even if you keep your apartment, you still will have to shuttle back and forth across as variable commute (notable exceptions include programs between Harvard Business School and Harvard Kennedy School, which are located just across a walking bridge from each other). Of course, if for some reason you would like to be in two different cities over the course of your study (e.g. to be close to two different sets of family, you didn't get into the desired program in your #1 city and are using a dual degree to form a back-up option), this can be a blessing. Ready to apply to your dual degree? 1 Month to Complete Your Tuck Application and Interview! Done with your entire application but need a professional set of eyes to look over it? Send us your full set of application materials at least two weeks before the deadline, and we’ll comb through it to make sure it portrays you in the best light and tells a cohesive story. Send us your full application materials, and we’ll get you written feedback within three business days. Once you’ve received your written feedback, you’ll have an hour to chat on the phone with us for any follow-up questions. Note: If you are looking for in-depth strategic advice on your resume or essays, you should opt for our Essay Editing. Final check is primarily a tactical check with a strategic assessment of your application as a whole. The Tuck School of Business was the first modern business school founded in the United States (in 1900). Named for one of the founders of the Republican Party, Tuck boasts one of the robust old-school career networks that make business schools famous. Tuckies routinely score great jobs as established firms like McKinsey and BCG through the loyal Tuck network, and the larger, more fanatical Dartmouth College network. Given its small class size and bucolic location, Tuck offers one of the most intimate MBA experience in the Top-10. Students are intensely social -- traveling around the world together on treks and participating in intramural sports in record numbers (about 90% of the students play on one of the school's many hockey teams -- it's a way of life!). To thrive in this environment, Tuckies pride themselves on their collaborative and social culture and are looking for applicants who can fit in and are equally fanatical about Tuck as they are. Ivy Admissions Group has intensely deep roots at Dartmouth and can help you easily navigate the applicant-initiated interview. 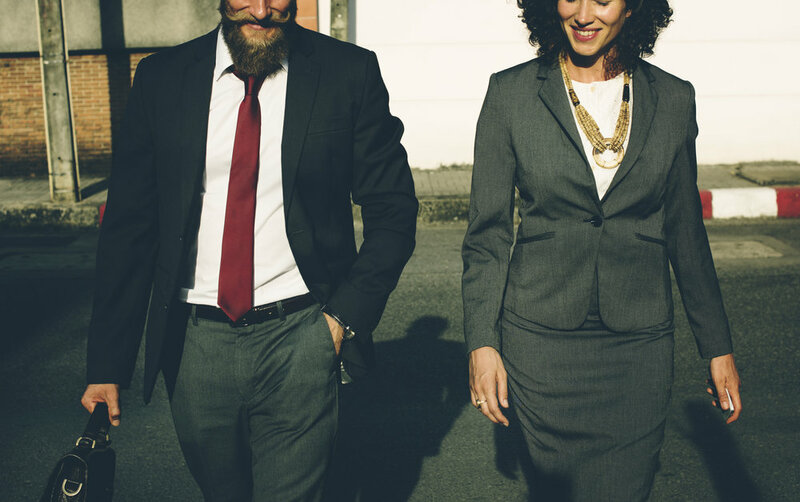 Our Ace the Interview service will provide you with a custom dossier of questions that you can expect based on your unique background, two complete student-style interviews with interactive debriefs, media coaching to come off as more likable, and even help with reflection feedback. It's everything you need to Ace the Interview! Help me Ace the Interview! While a 2-year MBA program is the desire and envy of many a business school applicant, an increasing number of MBA students are now completing their studies as part of a "joint" or "dual" degree program. As far as semantics go, "joint" programs integrate two different degrees into a unified course of study, often housed within the same university, while "dual" degrees often span two different universities and are pieced together by the student. Kellogg at Northwestern is pretty restrictive, offering only a 2-year dual masters program in Design Innovation, and its 3-year JD/MBA with their Law School. HBS is more open but still pretty restrictive, offering only joint degrees and only with Harvard Kennedy School, Harvard Law School, Harvard Medical/Dental School, and (most recently) Harvard School of Engineering & Applied Sciences. Stanford GSB is more open, offering concurrent degree options with Harvard Kennedy School, Harvard Medical School, Johns Hopkins School of Advanced International Studies (SAIS), Princeton Woodrow Wilson School of Public and International Affairs, Yale Law School, Yale Medical School, and any of Stanford's other graduate programs from Education to Electrical Engineering. What are my odds for these programs? Tuck November Round Deadline in 5 Days! Given its small class size and bucolic location, Tuck offers one of the most intimate MBA experience in the Top-10. Students are intensely social -- traveling around the world together on treks and and participate in intramural sports in record numbers (about 90% of the students play on one of the school's many Hockey teams -- it's a way of life!). To thrive in this environment, Tuckies pride themselves on their collaborative and social culture and are looking for applicants who can fit in and are equally fanatical about Tuck as they are. Aug 10, 2017 How many people apply to the HBS/HKS Joint Program? Jul 16, 2018 How Admissions Committees Evaluate Candidates - The Problem with "Odds Threads"
Sep 4, 2017 How do I know when my MBA application is finished? Jun 26, 2017 Post-MBA Goals: go for idealistic or realistic? May 21, 2017 "Narrative" vs "Brand" - Which is best? Jun 29, 2017 How long should I study for the GMAT? Jun 13, 2017 Should I take the GMAT or GRE? Jan 12, 2018 Style tips for nailing the MIT Sloan "Video Statement"
Oct 1, 2017 I Received an MBA Interview Invite...Now What? Jul 10, 2018 How many schools should I apply to – and which ones? Sep 25, 2017 Does it help to network with current students? If so, what should I ask? May 31, 2017 When is the right round to apply to business school? May 22, 2018 Is the Case Method right for me? Dec 18, 2018 Why was I waitlisted? Apr 2, 2018 Should I Write Waitlist Letters? You send us your essays in Microsoft Word and we mercilessly edit them. Tactical edits for grammar and tone will be made using Tracked Changes, and strategic edits on how to better use your essays will be made using embedded comments. We also recommend getting at least an hour of Hourly Help so that once you digest the edits we can workshop improvements on the phone. Sign up with your email address and receive our newest content. Need special attention on one part of your application? Want expert assistance but without committing to an entire package? This is the package for you. You’re stuck on the waitlist – now what? In this complete package we run a campaign to influence the admissions committee to change their mind and let you in. We've used these methods to get clients accepted off the waitlist at Stanford GSB, HBS, and Wharton and currently boast a 63.6% success rate! Our signature product -- we take you by the hand and craft the perfect story to build your entire application around. This process helps our clients achieve superior results while saving a ton of time by developing their personal narrative up-front before they write a single word of their resume, essays, or emails to recommenders. Our key insight is that the way to earn the approval of the admissions committee is not to "sell them your brand," but rather to "win their vote." Based on techniques pioneered at Harvard, our proprietary system digs deep into your inspirations and motivations, and beautifully connects them to your MBA aspirations in an authentic and compelling way. Our goal at the end of the process is to develop a game-plan for crafting your MBA application (or job application!) such that the gatekeeper will feel that he or she is making the world a better place by putting your application in the admit pile. This service is very creative and high-touch. Every narrative we create is absolutely unique to the individual, and not the cookie-cutter result of a computer print out. All content Copyright 2018 by Ivy Admissions Group, LLC. All rights reserved. Usage of this website and/or purchasing of services subject to terms and conditions.